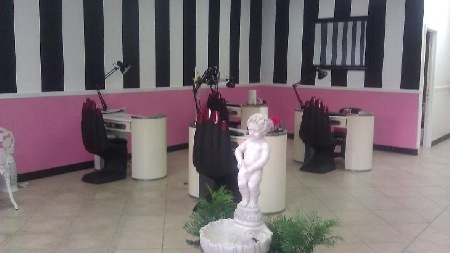 Manina's Nail Bar offers top quality salon service by well educated and experienced technicians and artists. We provide a variety of nail enhancements, specializing in GEL SYSTEMS as well as natural nail services, FULL SERVICE HAIR CARE and facial waxing and threading. We also feature the newest innovation in nail art technology, Digital Nail Art! Digital Perfection ~ Infinite Selection ~Seconds Per Print ~ on any nail surface; natural nails, gel nails, and acrylic nails. We would be pleased to hear from you! Each client recieves a personal consultation in order to provide the best service for your individual needs.